The 61.5 metre motor yacht Solemar was sold in a joint deal between Curtis Stokes & Associates and Yachting Partners International. Built in steel and aluminium by Dutch yard Amels to a design by Michael Leach, she was delivered in 2003 and refitted in 2011. Accommodation is for 12 guests in six cabins including a split level master suite on the main deck and a VIP suite on the bridge deck. The 50 metre motor yacht Harmony, listed for sale by Ocean Independence, was sold in 2016. Harmony was built in GRP by US yard Westport to a design by Donald Starkey and delivered in 2010. A classic interior by Glade Johnson accommodates up to twelve guests in six cabins including an on deck master suite. A spec build 49.8 metre Benetti motor yacht was sold with Fraser Yachts introducing the buyer and has the project name Breeze. Built to ABS class, accommodation is for 12 guests in five cabins including a large main deck master suite and there are quarters for 11 crew in seven cabins. 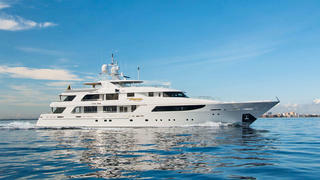 The 74.98 metre motor yacht Leander G was sold with Peter Insull’s Yacht Marketing representing the owner. Delivered in 1993, she was built in steel and aluminium by the German yard Peene Werft. An English country home style interior by Pauline Nunns accommodates as many as 20 guests in 10 cabins. 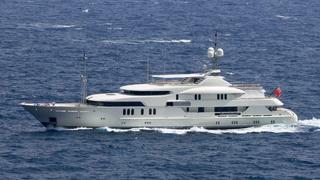 The 59.3 metre motor yacht Lady Lara was sold in 2016. Built in steel and aluminium as a displacement yacht by Italian superyacht yard BenettiLady Lara was delivered in 2009. She accommodates up to 12 guests in six cabins and is an MCA compliant vessel built to Lloyd’s classification, with renovations in 2014. 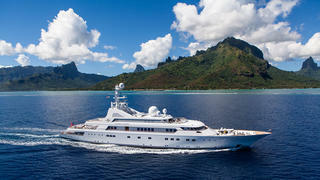 The 55 metre motor yacht Serenity was sold with IYC and Moran Yacht & Ship completing the deal. Built in aluminium by Dutch yard Heesen to Lloyds and MCA classification and designed by Omega Architects, she was launched in 2011. Luxurious accommodation is for 12 guests in six cabins including a main deck master suite. 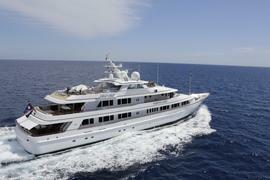 The 80.2 metre motor yacht Golden Odyssey II was sold by Burgess. Built in steel and aluminium by German yard Blohm + Voss, she was delivered in 1990 and in 2015 completed her 25 year Lloyd's class survey including a total rebuild of both main engines. A voluminous interior with luxurious decor by Alberto Pinto accommodates 14 guests in seven cabins. The 57.5 metre sailing yacht Twizzle was sold in a three-pronged effort, with Camper & Nicholsons, Burgess and Y.CO coming together to sell her. Built in aluminium by Dutch yard Royal Huisman to a design by Dubois Naval Architects, Twizzle was launched in 2010 as the yard’s first flybridge yacht. Three guest cabins in addition to the master suite offer understated luxury for eight to nine guests. 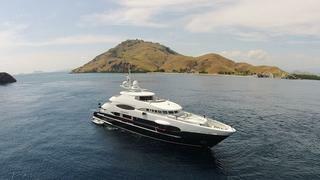 The 60 metre motor yacht Mim was sold by Burgess with the help of Lee Marine in Thailand. Built in steel and aluminium by Italian yard CRN Ancona to a design by Zuccon International Project, Mim was delivered in 2011 and is Lloyd's classed. Accommodation is for 12 guests in six spacious cabins including a master suite located on the main deck with an office, his and hers walk-in wardrobes, sofa area and balcony. The 63.84 metre motor yacht Turmoil, was sold with Camper & Nicholsons, Chamberlain Yachts and Luke Brown Yachts joining forces to find a buyer. Turmoil was built in steel and aluminium by Royal Denship to Lloyd's class and MCA coded with delivery in 2006. 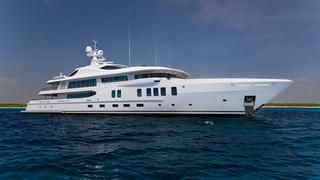 She accommodates as many as 16 guests in eight well-appointed cabins including a master suite on its own private deck. 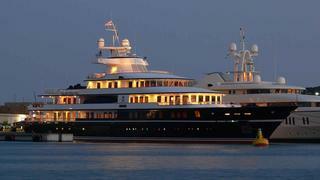 The 62 metre Feadship superyacht Positive Carry was sold with Moran Yacht & Ship and Cecil Wright & Partners working together. 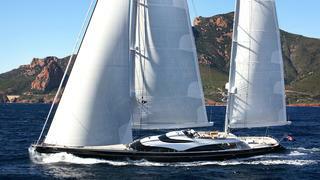 Built in steel and aluminium, this De Voogt-designed yacht was delivered in 2005. 12 guests can be accommodated in six sizeable suites including the large master suite, located forward on the main deck. 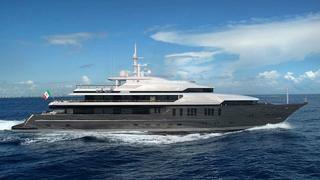 The new build 64 metre motor yacht Project Duchess was sold by Thompson, Westwood & White. Currently under construction in steel and aluminium at Italy’s VSY yard to a design by Espen Oeino, she is scheduled to be delivered in September 2018 as the third yacht in this series from the yard. 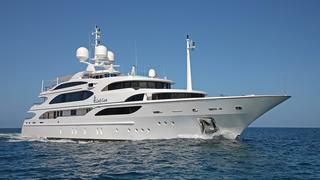 The layout of her interior is at present configured as six en suite cabins for 12 guests plus 18 crew. 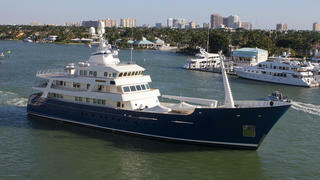 Burgess and Denison Yacht Sales worked together to sell the 60 metre motor yacht Elandess. Designed by Donald Starkey, she was built in steel and aluminium by German yard Abeking & Rasmussen to Lloyds class and delivered in 2009. A serene interior by Bannenberg & Rowell accommodates up to 12 guests in six cabins including a main deck master suite featuring an Art Deco theme. 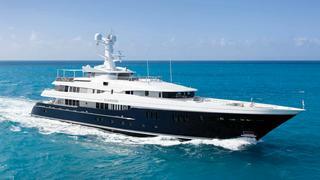 The 62.5 metre motor yacht Meridian was sold by Superyacht Sales & Charter in Fort Lauderdale. Previously known as Maidelle, she was built in steel and aluminium by Dutch yard Icon to a design by Redman Whiteley Dixon and delivered in 2013. A voluminous interior accommodates 16 guests in eight cabins including a split level master suite on the main deck with a private saloon. 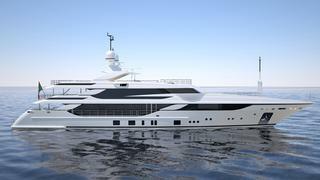 The 64 metre motor yacht project called Something Cool was sold by Fraser Yachts. Currently being built in steel and aluminium by Dutch yard Hakvoort to a design by Horacio Bozzo, she is due for delivery in May 2018. A cool and elegant interior in pastel shades by Sinot Yacht Design will accommodate 12 guests in eight cabins, all with en suite bathroom facilities. 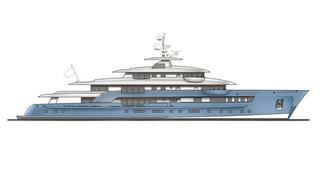 Fraser Yachts contracted with the Dutch Amels yard to build a 67.1 metre new construction motor yacht. To be built in steel and aluminium with exterior design by Tim Heywood, she will be the fourth hull in the Amels 212 Limited Edition range and is scheduled for delivery in 2019. 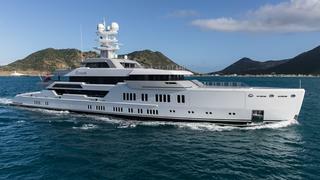 The 72 metre motor yacht O’Pari3 was sold with Matt Albert at Yachting Partners International acting for the buyer and seller. Delivered in 2015 and built for an experienced owner in steel and aluminium to a design by Studio Vafiadis, O’Pari3 is the second largest yacht to come from Greek yard Golden Yachts. 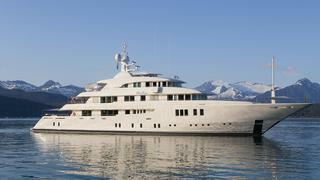 The spectacular 66 metre motor yacht Ester III was sold in a joint effort between Fraser Yachts and Burgess. Designed by Espen Øino, she was built in steel and aluminium by German yard Lürssen to Lloyds class with delivery in 2014. A classically elegant interior by Reymond Langton accommodates 12 guests in six cabins including a full-beam master suite on the main deck. 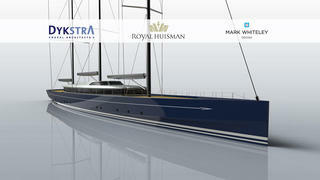 Royal Huisman announced that it is building its largest ever yacht for an Asian owner. Project 400 will measure 81 metres, and will become one of the largest sailing yachts in the world after her 2020 delivery. The three-masted performance schooner will feature a plumb bow and be built in aluminium to Lloyds class and MCA coded. She will accommodate 12 guests and 13 crew. 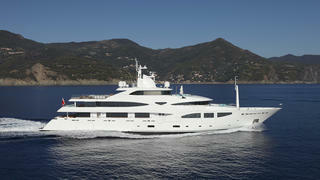 A 98 metre new build superyacht, Project Grande, was sold by Moran Yacht & Ship and will be built at German yard Lürssen. The design of Project Grande was completed by Eidsgaard Design and will have a 12 metre swimming pool, a huge spa and big diving areas. 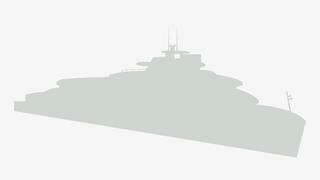 It will be helicopter-ready, storing a helicopter on the bow, and capable of worldwide cruising.